Moles are mammals that burrow underneath the ground. Moles live in parts of Asia, Europe and North America. While moles are blind, they can still cause troubles for landowners with livestock or lawns if left unchecked. 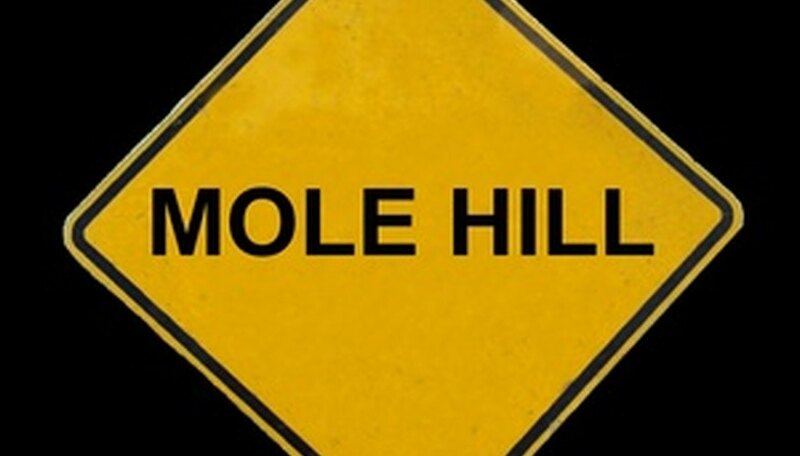 Keep in mind that in some areas moles are considered protected and require a permit for extermination. One way of killing moles is by setting pit traps. A pit trap consists of a deep jar and a wooden board. To set the trap, dig a hole into the mole tunnel being careful not to cause too much damage to the tunnel. Place the jar into the tunnel and cover the hole up with the board. The board keeps the light out so that the mole assumes it is tunneling underground. The mole falls into the jar and will not be able to get out. Check the trap twice a day and dispose of the mole in whatever way you see fit. There are several types of traps that kill a mole directly. The most popular mole trapping brands are Nash and Victor. These companies make many different kinds of traps that harpoon, choke or cut the moles as they go through a tunnel. Purchase these traps online or at a hardware store and follow the instructions for each particular trap. For best results, make sure you put the trap in an active tunnel. Flooding is a hit-or-miss mole-killing technique. Find an active mole hill, stick a hose into it and begin pumping water into the hole. The mole may drown or it may attempt to escape into a different network of holes and tunnels. Be prepared to attack the mole with a shovel to prevent it from getting away. The poison method can be effective, but in many cases you will not be allowed to place poisons into your lawn without a permit. There are several different poisoning methods. One method involves poisoning grubs, the underground insects that moles eat. Another method is to place a poison smoking device in the ground and then light a fuse to spread the poison through the tunnels.